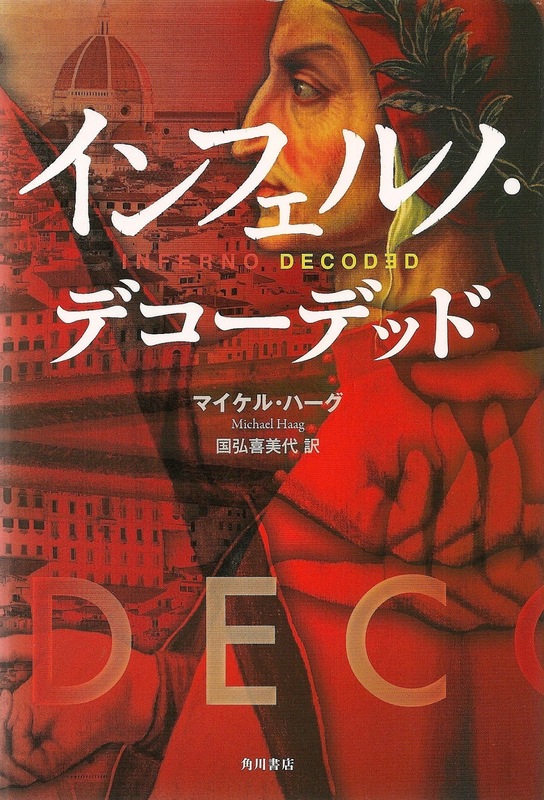 The Japanese edition of Michael Haag's Inferno Decoded has been published by Kadokawa Corporation. In fact it was published late last year but I have only just received my author's copies. For me the lettering adds another dimension of mystery to the cover; it will take me forever to decode the Japanese. British, American, French, Italian and Brazilian editions have already been published. There are still Polish, Chinese and Estonian editions to come.